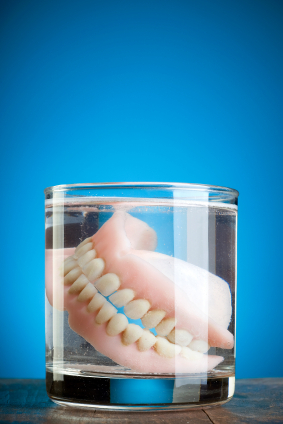 Breaking a tooth or your dentures on the weekend or overnight can be a real problem, especially if it is after hours and your dentist's office isn't open. Unfortunately, many people decide to make repairs themselves by using super glue or other adhesives. This is an extremely bad decision, and here is why. Super glue contains chemicals that may be toxic, and when you use these utility adhesives in your mouth, you'll put them in direct contact with your tissues. This can cause irritation to the mouth and gums, and it could potentially trigger an allergic reaction. Super glue is not intended to be used in the mouth or to repair dental appliances, and when used on your dentures, you could actually be causing more harm than good. In some cases, glue sets by using an exothermic reaction, meaning they generate heat. Unfortunately, the dentin tubules found within your teeth really don't tolerate this well, and they can actually die. This may result in the need for a root canal or even an extraction of the tooth. Super glue isn't a temporary adhesive, and if you attempt to fix a problem with this method, it can be difficult to get the tooth back into the right position. Once you've made an attempt and it is glued, the tooth will not be fixable in the future without major work. If you try to super glue in a tooth with your dentures and don't get it exactly in the correct position, you may need an entirely new denture. If you break your tooth or your dentures, do yourself a favor and let your dentist handle the repairs. Refrain from taking on a DIY project with super glue, as you'll likely encounter even more problems. Contact our office to set up an appointment.